What to eat when traveling in Iceland. When we think Iceland, we think about Vikings, volcanic activities, glaciers, among other things. However, one thing that stands out is that not many people know what kind of foods people eat in Iceland. Yet, for an avid traveler, you can never say you have truly experienced a place if you haven’t had the chance to sample the local cuisine. 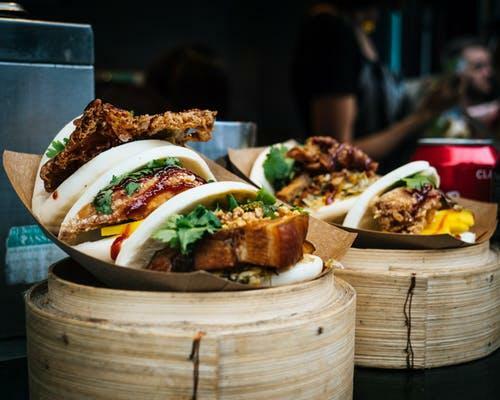 So, here is a list of five must-have food items you should try, when you get a chance to visit this fascinating country. If you’re looking for a particular food that has been a part of Iceland’s cuisine for a very long time, the Skyr or Iceland yogurt fits the bill. Skyr tastes a lot like Greek yogurt but is milder in flavor while the texture resembles that of soft cheese. The locals like to eat it with berries and fruits, but it is also an important ingredient for things like ice-cream, smoothies, and cakes, among other recipes. Any meat lover will fall in love with the rich flavor of the Icelandic lamb. The Lambs were brought into Iceland in the 9th century by the Settlers who let them graze freely in the hills. A tradition that continues to date. The sheep are purebred and are not given any artificial substances including growth hormones or manufactured feeds. The sheep get to roam about freely and have wide access to natural food like sedge, grass, berries, and moss Campion among others. These natural foods add a delightful taste to the meat, and the most exquisite culinary chefs in Iceland always include lamb as one of their main ingredients. Roasted lamb cooked for hours over low heat, using the freshest herbs is very popular. The lamb is also a major ingredient in the popular soup Kjötsúpa. The healthy, body warming soup is especially great for the winter days and is made using lamb and a variety of vegetables. Spoiler alert! This particular dish may not go down very well with everyone, but, it is a traditional dish that the locals love. Hákarl is a fermented shark, which has a very strong fishy flavor and ammonia smell. The fermentation process takes about 5 months and requires that the shark is hung outside to dry. Hákarl is indeed an acquired taste, and even the locals will warn visitors to go easy on the first bite. The locals chase it down with a spirit or schnapps, probably to temper the strong aroma and flavor. The Icelandic hot dogs have a reputation that transverse its borders. The hot dogs are so good that eating one will not satisfy you. Iceland has up to 340 species of fish including Greenland shark, haddock, brown trout, and arctic char among others. If you’ve got a more adventurous palate try the Harðfiskur, a dried fish usually made from haddock, wolf fish or cod, which the locals snack on. All they do is add a little butter to it, and they have their favorite movie time snack. The Cuisine in Iceland is as vast as its culture and as rich as its history. One thing for sure, to truly experience Iceland, go out of your comfort zone and taste some of the more traditional cuisines, only then can you truly say you have experienced Iceland.